How to never run out of highly targeted potential customers again. They're waiting for you as you read this. Do you know how to find them? 25 methods that will secure your place as a successful business owner simply through specific methods of managing your resources. .
Exponential resource management. Did you know that you can promote your products successfully in such a way that it never has to cost you a penny? Double your audience for future promotion every single time you promote one of your own products. I'll show you exactly what it means to have your own task force of affiliates promoting for you, a huge list of customers ready to snap up your products, and a solid number of people who continue to buy from you over and over. 5 methods to help you gain the luxury of security in the future for your business. Walking you through the process. I'm actually going to show you several ways in which you can carry out these methods and in addition why they work. Adapt To Survive. Learn why this method works so well. 12 detrimental mistakes that could potentially lose you years of hard work on your business. 18 techniques that will have you building your promotion resources with little expense, where others are struggling with the most expensive part of online marketing, that's getting customers in the first place. 1 little known method that will have your previous customers placing their ultimate trust in you, allowing you to sell them your quality products over and over again. 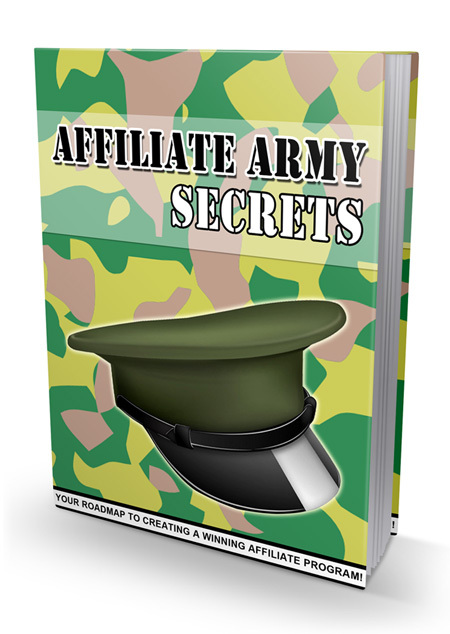 5 proven affiliate management methods that will have your affiliates building all your other resources for you so that you never even have to spend a penny on your promotion. 3 reasons why your list is actually the 5th most important resource to build, and not the most important (far from the most profitable too) contrary to what other marketers may be telling you. This 63 page PDF ebook comes with Resell Rights.